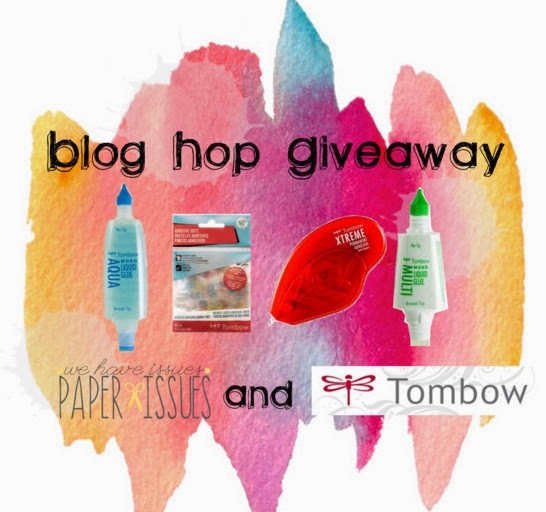 Hello and Welcome to the Tombow USA and Paper Issues Blog Hop! 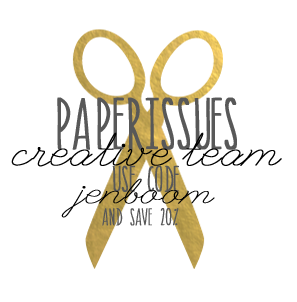 You probably got here from Erin Reed's post but if you got lost, head over to the Paper Issues blog to start! My page tells a tale of mischief and two tiny banana bread thieves. My middle son (3) took an opportunity to climb up on our kitchen counter, grab the bread box and headed to his chosen hide out under the dining table, along with his one year old sister, to enjoy the prize. When I discovered them, he cheesed and asked me to take his photo. Stinker! There are a lot of elements to this page from a die cut and paper pieced background to layers of patterned paper and lots of die cut embellishments. I grabbed the rich, colorful Fancy Pants Flutter collection to use for this page. It all came together easily with Tombow USA products. I used the Tombow Mono Adhesive Permanent for the larger paper pieces and photos. 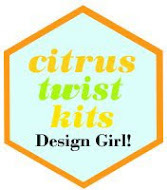 The NEW Tombow Adhesive Dots were perfect for the large die cuts, especially that banner - giving just a slight dimension over the elements underneath. And then an all time favorite of mine, the Tombow Mono Aqua Liquid Glue. This glue dries super clear and the fine tip allowed me to adhere even the tiny text pieces on the photos securely and without mess. Both Tombow USA and Paper Issues are offering giveaways so be sure to visit all of the blogs on the hop. Paper Issues is giving away a $20 Gift Certificate to the Paper Issue store! 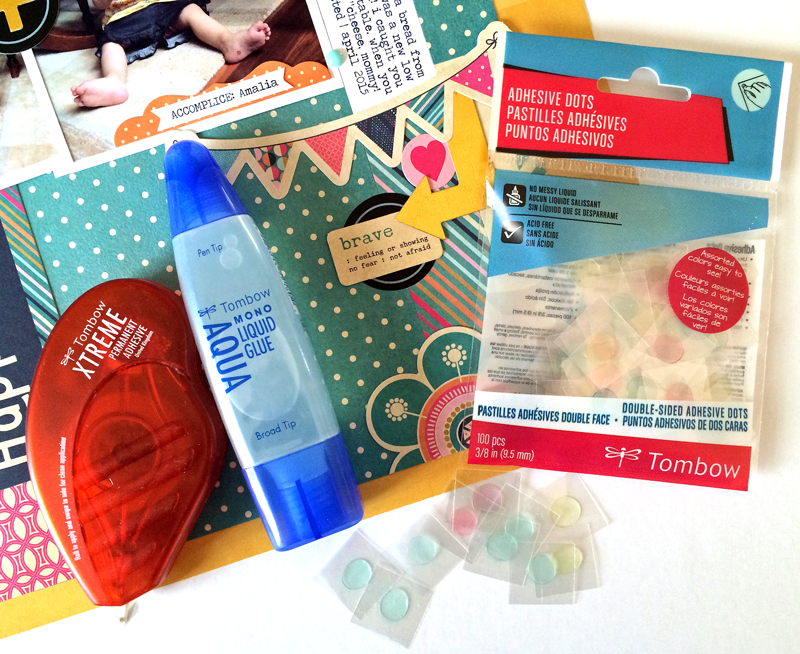 Tombow USA is giving away an assortment of their adhesives: Tombow Mono Adhesive Permanent, NEW Tombow Adhesive Dots, Tombow Mono Multi Liquid Glue and Tombow Mono Aqua Liquid Glue. To win, visit and comment on ALL of the participating bloggers' posts. 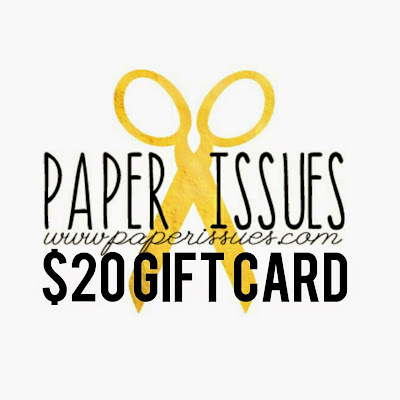 When you're done, be sure to head on over to the Paper Issues Facebook page and tell us which project is your favorite. You have until May 12 at 11:59 EST to comment. Winners will be picked randomly and announced on May 13, 2015. Remember to “like” Tombow USA and Paper Issues on Facebook! Your next stop is Jennie García. Super cute page! I love the colors. Fabulous story! I've had those moments, too, where I had to get a picture of the naughtiness! 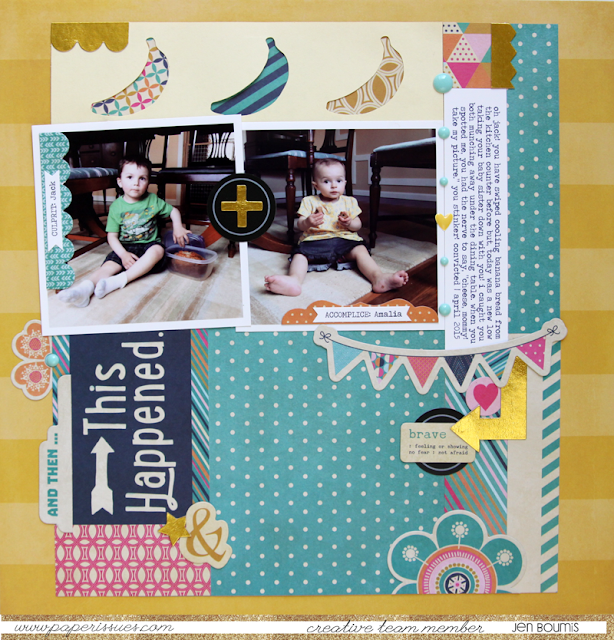 I adore the cardstock strip with the bananas cut out of it! Perfectly awesome! TFS! This is just adorable Jen!! Love the layout and those little faces! Those kids are adorbs and I love the layout! This is cute layout! Love the colors! Really cute layout! Your kids are so cute! Super cute layout! Love the papers and the fun little banner...so fun! The pic's are darling! TFS! so fun and so bright , love it!! Cute story and super adorable layout! Hahaha!!! I love the story behind your page! Yes, the little once.... they are always doing something cute even though they no it 's wrong. I like you tale of mischief and two tiny banana bread thieves. This page layout is awesome like the colored banana's with the strip banner. It good to take photo of naughty time to. Maybe when they older at 21' years of age you could put in a album and give it him..... thank you for sharing.... loved it. Love this page and the story it tells, Jen! So funny that they stole the fresh banana bread to enjoy in hiding! Ohhh wow! Fabulous layout!! I love it!! Totally bananas for this page! So Awesome! This came out tooooo cute! Love it! ADORABLE LO!! Oh, those little darlings....so cute, even when they are a wee bit naughty!! lol..... Love your patterned bananas.